Summer is on it’s way! Along with the change in weather and temperature, it’s also time to organise activities over the summer school holidays! Showcase your school holiday activities to tens of thousands of local Northern Beaches Mums. 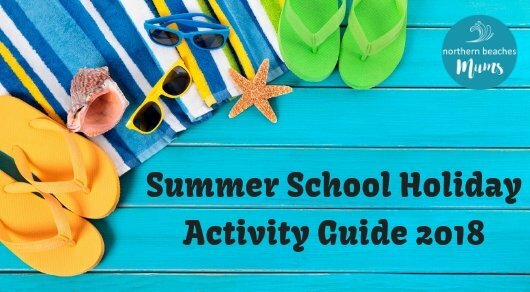 Our Mums love to support local businesses and receive recommendations for great activities, so once again we will be launching the NBMs Summer School Holiday Guide. The campaign will reach 10s of 1000s of Mums by running across our website, our Facebook Page, our 4 Facebook Groups, our Instagram, in a special edition EDM and in our weekly newsletters. Click here to see the recent Spring School Holiday Guide 2018. Note: this guide is 6 weeks not 4 weeks like the other school holiday guides. 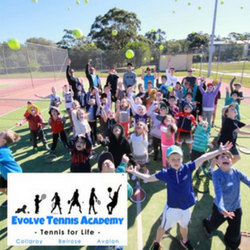 The teams at Evolve Tennis can’t wait to share their love of tennis and all things sporty with your children. HOTSHOTS and Multisport Format – no boredom here! BEST PRICED CAMPS of this kind on the beaches! Check online for special discounts!!! They can’t wait to see you there! Please provide an image (1080 x 1080) for your ad. Please do not hesitate to contact if you would like any further information or a current copy of our Media Kit.